I have done business in a broad range of industries in both rural & urban areas.I am assisted by an experienced team of account managers able help you & your business grow & prosper. At BMO WE ARE HERE TO HELP. 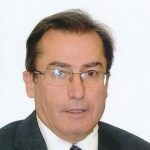 Business Development Manager BMO Bank of Montreal 23 yrs 10 mos Milton ,Ontario I am originally from Prince Edward Island,am married with 3 children & 5 fantastic grandchildren.I love most sports & my passions are hockey-the Leafs & golf thus I work part time on weekends at a golf course.